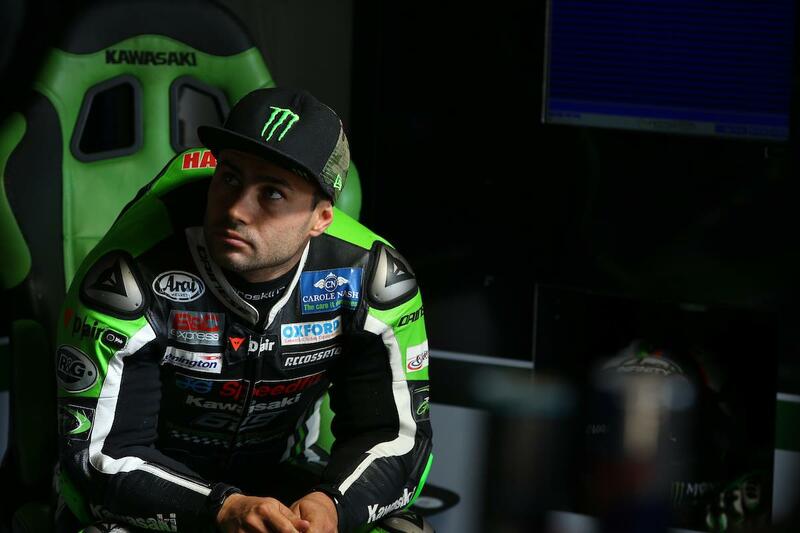 Leon Haslam was left frustrated after a crash in Superpole left him ninth on the grid for tomorrow’s opening race at Thruxton, but remains upbeat after making a number of steps forward with his JG Speedfit Kawasaki this weekend. Thruxton was Haslam’s worst circuit on the calendar last year and he and his team have worked tirelessly to ensure they can fight for the best result possible this weekend and while the 2016 series runner-up hasn’t been at the sharp end all weekend, he showed a clear improvement in pace in qualifying to place third in Q2 with his quickest lap of the weekend. However, it’d all go wrong as he crashed out at the chicane as he came round to complete his flying lap. “I wasn’t that bothered about the crash,” he told MCN. “I lost the front at church, I lost the front three or four times on the brakes actually. I was convinced I had a slow puncture, but the tyre looks OK. The data shows the front was locking loads which is strange as we’ve not had that all weekend. “We’ve made some big steps with the bike this weekend. I felt quite comfortable in Q2, I’m a little frustrated with how it ended in Superpole but for this circuit I’m actually quite happy. While Haslam hasn’t been up the sharp end this weekend, his main championship rival Shane Byrne hasn’t either, but the Derbyshireman is convinced the Be Wiser Ducati star has something in reserve.